← Rosemary Thompson Litz, M.Ed. 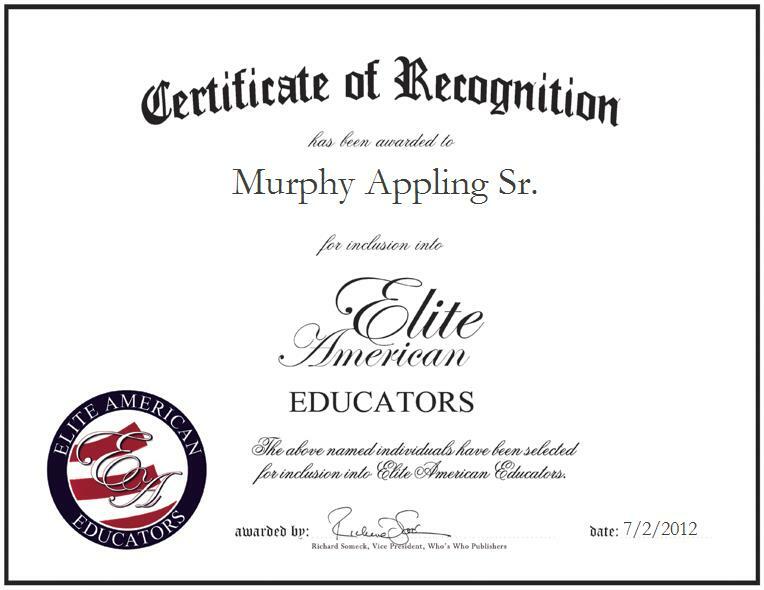 Murphy Appling Sr. is a public school teacher serving Shelby County Schools, a district that strives to empower all students for success in learning, leadership and life. In his capacity, Mr. Appling makes the most of his expertise in American history and government, and in world geography, in efforts to support the mission of the school district and to give each and every student he teaches the chance to accomplish their dreams. Mr. Appling teaches American history and government and world history to junior and senior students, driving home meaningful points about the past and present and how the people of today’s society can affect tomorrow. After relocating from the financial services industry to the educational sector, Mr. Appling has been determined to serve as an agent of positive change as a well-informed teacher and versatile learner. He is a member of such illustrious organizations as the Shelby County School Board, the Kappa Alpha Order, and the St. Louis Officials Association, Inc.